So you need a 12-inch jumper made out of LMR195 cable, with an N Make on one end and a right-angle TNC male on the other. That’s pretty random. It’s also right here. This is one of the thousands of exotic cables that are available at SolidSignal.com. Take a look at our expanded selection of wire and cable here. 75-ohm, 50-ohm, twisted pair, there’s practically nothing that we don’t sell. But, I’m willing to admit that it’s possible there is a cable we don’t have ready right now. 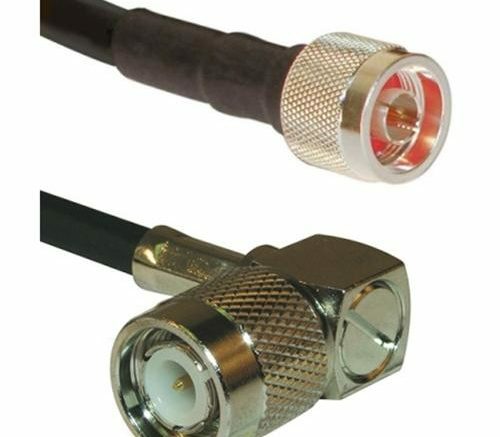 After all, you may wake up one day and decide you want an LMR400 cable precisely 238 inches long with an N-female bulkhead connector on one end and a reverse-polarity right angle SMA on the other. I have no idea why you would, but I don’t judge. If you need something really specific, just email us at info@solidsignal.com or call 877.312.4547. It usually takes a few hours to get a quote for a custom cable and then our technicians can get right on it!